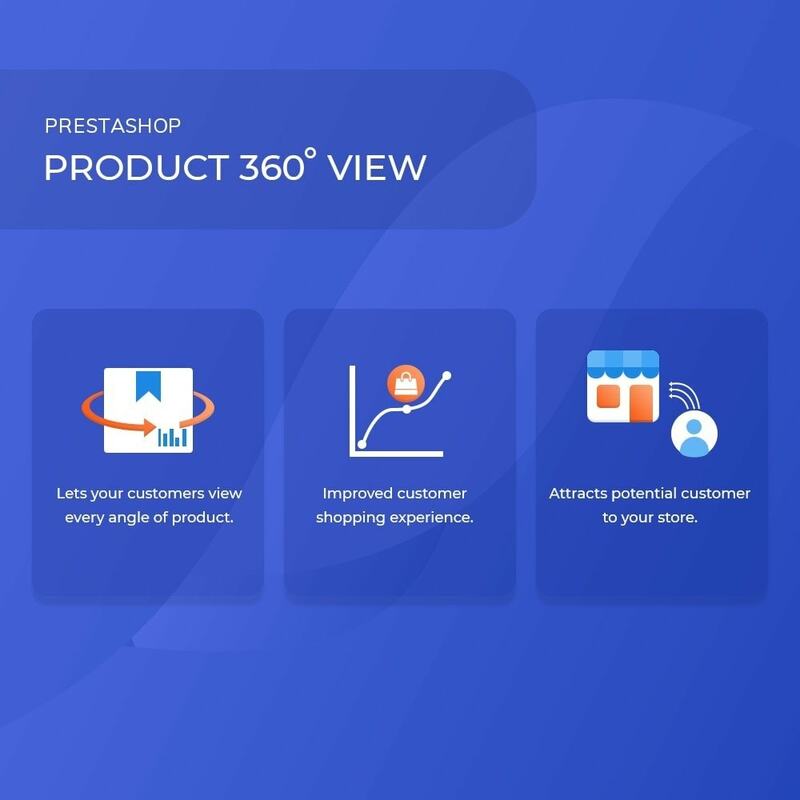 With Prestashop Product 360 degree view, you can show every side of a product to your customers. It allows your customers to view products in a more attractive and magnificent way. With 360 degree view admin can show every angle of a product to the customers which in turn helps in increasing the sales on the website. This module helps a store owner to create a virtual shopping experience for the customers. Admin can easily set the 360 degree view of a product. Admin can delete the images he has added to a 360 degree product view. Once the images have been added by admin for setting up a 360 degree view, then he can change the position of the images and 360 degree product view will be visible at Front end according to the position of images set by admin. With 360 degree product view, a customer can view every side of a product in a 360-degree rotating view. A customer can stop or start again the 360 degree product view by clicking on start/stop button. Spin speed in which images rotate in a 360 degree view of a product can be managed by the store admin. The store admin can enable/disable the full screen view of a 360 degree product view at front end. Décuplez l’efficacité de vos promotions et concluez davantage de ventes grâce à ce module très simple d'utilisation! Avec cette pop-in configurable en moins d’une minute, attirez immédiatement l’attention de vos visiteurs sur ce que vous souhaitez et réussissez vos promotions, soldes et ventes flash. 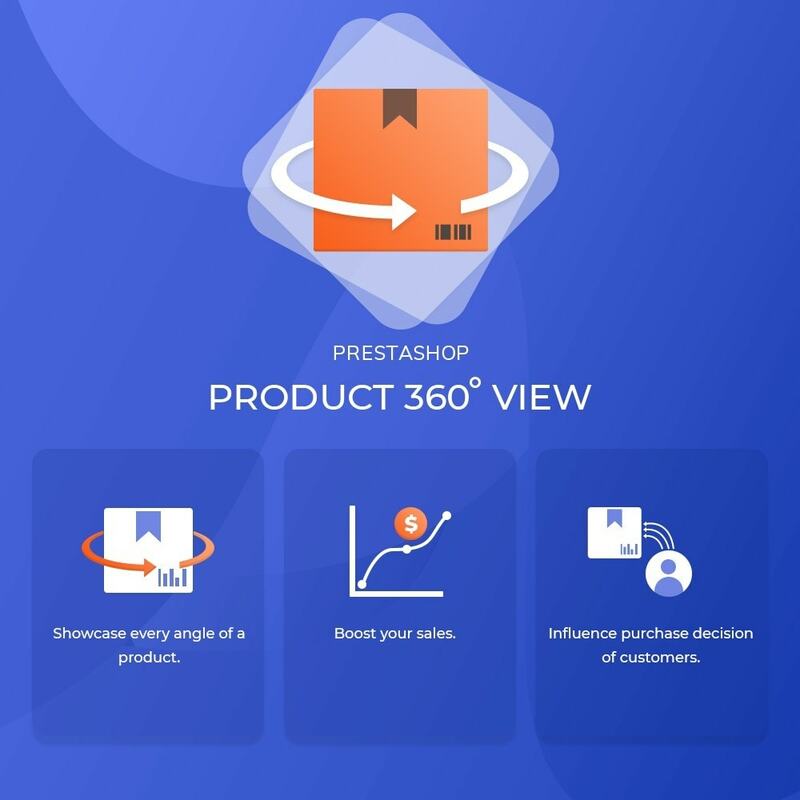 Product 360 degree view gives customers the ability to view every angle of a product. As compared to a still picture a 360 degree view gives the customers a confidence regarding authenticity of a product. Mozilla image filp issue resolve.